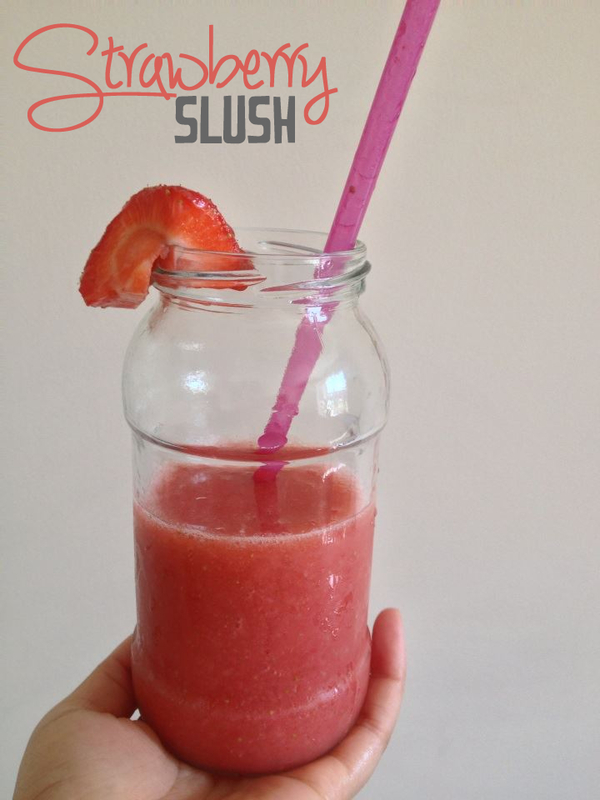 So I was super hot today, (its literally Moroccan weather in the UK) and decided to make a slush out of strawberries. Usually I'm quiet naughty and make my slushes out of fizzy drinks, or syrups but today I chose to be good and I must say it tastes better than any other slush I have ever tasted. Because I have a sweet tooth, I have added some strawberry dilute juice which just added a hint of sweetness. & there you have it, your own home made slush..the healthy way! You can follow these steps using any blends of fruits - don't forget to show me your creations!